While speaking to dozens of people at the farmers market we find there is a huge demand for gluten-free. Interestingly, the majority of people seem to be lacking a genuine gluten intolerance and still choose to avoid it anyway. As a result, there is a flood of gluten-free foods, many of which are quite awful. 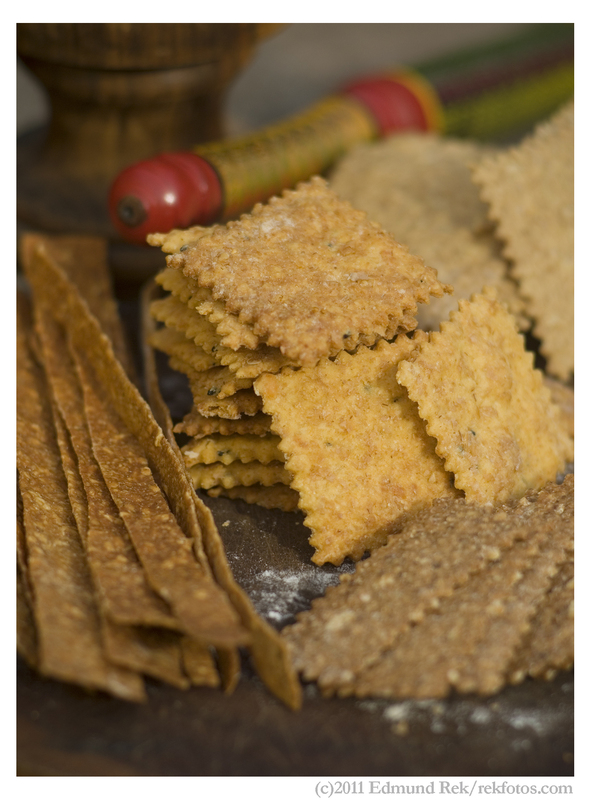 Quite early on we intended on making a gluten-free cracker, but have hesitated. Partly because gluten protein is vital to the structure and texture of the crackers, but also because it implies that gluten is bad. Well, on Saturday I spoke to someone who helped me put this into perspective. Rebecca is a nutritionist and also a foodie, so I felt in good hands asking her some questions about gluten. She explained how some people would have issues eating a slice of white bread, for example, and less so with a whole grain cracker. Even though they both have gluten, there is no fiber in the white bread (devoid of anything really) so there is a chance for it to stay in the bowel longer (possibly fermenting), which can cause bloating, which is one of the symptoms. Where as the Slightly Seedy cracker that has the Red Fife whole wheat grain, oats, flax, sesame seeds an pumpkin seeds all of which promote better, and quicker digestion . So it really isn’t a gluten thing for certain people, but rather the quality of the flour that includes the whole grain.